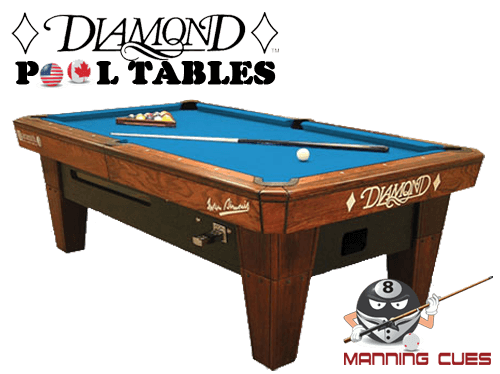 The Diamond Smart table is a commercial coin-operated pool table commonly found in pool rooms and bars. The Diamond smart table is superior in terms of quality, construction, and materials. Most importantly, it’s the only coin-operated table in the world that utilizes a real cue ball (no magnet) with state-of-the-art technology! The Diamond smart table also features the state of the art wedge leveling system keeping the 1" thick slate level and playing consistant. Bi-level leather top pocket design mounted flush to the rails keeps your hand flush with the rail tops when shooting close to the rail edge. 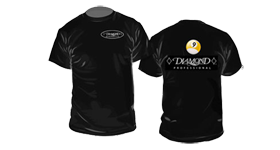 The Diamond Smart table is the highest quality coin-operated pool table, incorporating all the same features and playability of our Diamond Professional model.